We were saddened to learn of the recent passing of our friend John Laurent. Our deepest condolences and thoughts go to his family in these difficult times. (Cadillac, MI) – John Laurent passed away on Friday, August 10, 2018. This marks a sad day in the history of the KISS Cadillac story. John was the Cadillac High School principal in 1975 when KISS came to Cadillac. He was instrumental in the decision making that led to the visit and became a legendary figure in the continuing story over the years. Without John's support the 1975 appearance of KISS in Cadillac would never have taken place. 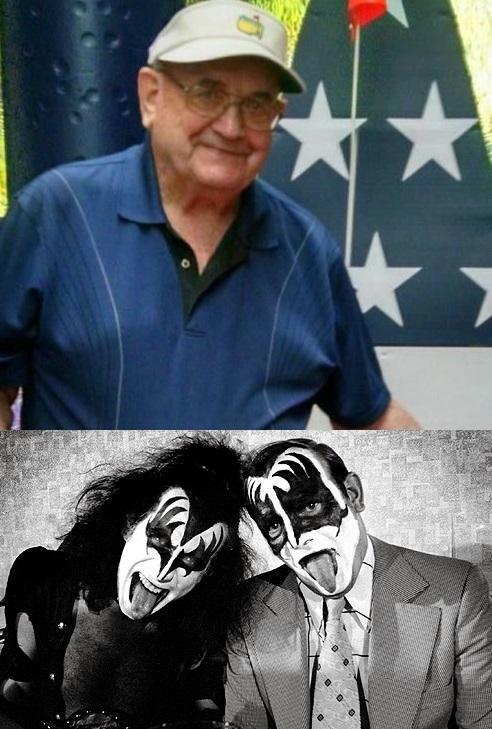 John Laurent was 86 and was a KISS fan. More than that, he was a KISSTORY legend.